The National Weather Service In Shreveport Has Issued A * Tornado Warning For... Central Upshur County In Northeastern Texas... * Until 900 Pm Cdt. * At 821 Pm Cdt, A Severe Thunderstorm Capable Of Producing A Tornado Was Located Near West Mountain, Or Near Gladewater, Moving North At ...Read More. The National Weather Service In League City Has Issued A * Tornado Warning For... Walker County In Southeastern Texas... * Until 830 Pm Cdt. * At 759 Pm Cdt, A Severe Thunderstorm Capable Of Producing A Tornado Was Located 8 Miles West Of Huntsville State Park, Or 9 Miles ...Read More. ...a Severe Thunderstorm Warning Remains In Effect Until 845 Pm Cdt For Central Starr County... At 823 Pm Cdt, A Severe Thunderstorm Was Located 10 Miles Southwest Of Santa Catarina, Or 12 Miles East Of El Sauz, Moving East At 30 Mph. Hazard...60 Mph Wind Gusts And Half Dollar Size Hail. ...Read More. 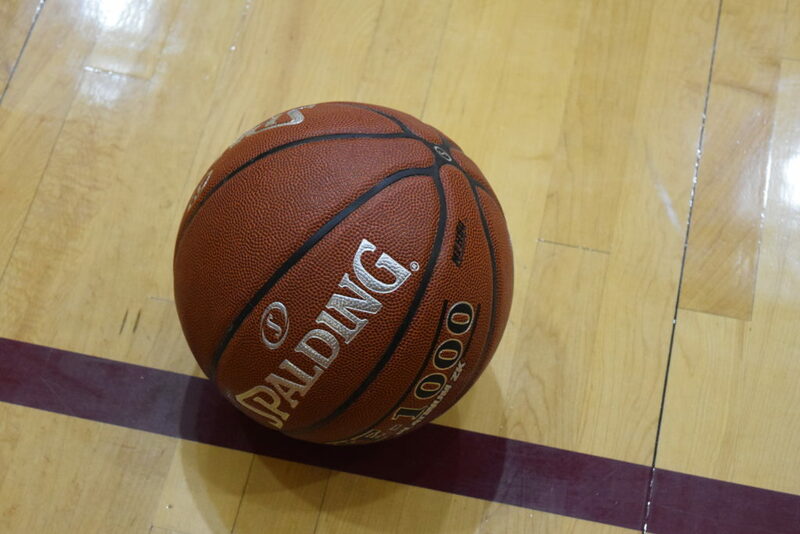 GRAPELAND – After polishing off the Lovelady Lions on Friday by a score of 99-67, the Sandies were back in action on Tuesday, Jan. 15 as they welcomed the Slocum Mustangs to Grapeland for a District 20-2A matchup. Slocum came into the contest with a record of 3-1 and sat a game behind the #6 ranked Sandies. Meanwhile, Grapeland sat perched atop the district standings with a record of 4-0. The Mustangs put up quite a fight but a decisive third quarter pushed the Sandies over the top as they won by a final score of 63-47. The game started with Slocum keeping pace with Grapeland as the Sandies managed to take a 15-11 lead after the first eight minutes of play. Colby Thornton paced the Mustangs’ first quarter scoring with six. Lincoln Smith drained a three and Josh Ives had two as Slocum only trailed by four. After the opening tip, the first quarter belonged to Javion Joseph with two three-pointers, a two and three, free throws. Keizion Ashford joined Joseph in the scoring column with four points of his own. The second quarter saw the pace slow, somewhat, as Slocum only managed eight points on five from Thornton, two from Travis Neal and one from Randy Guess. Grapeland was paced in the second period by Rick Frauenberger and Cadarian Wiley, both with four. Joseph hit his third three-pointer of the half to help give the Sandies a 26-19 lead at halftime. Up by only seven after the break, the Sandies turned it up a notch defensively which led to the offense being more productive. Joseph added six to his total as Deco Bryant – quiet for most of the game – dropped in five. Josh Ackley knocked down a three while Frauenberger made a three the old fashioned way. Tyrin Wiley got in on the act with two while Ashford made one of two from the charity stripe to double up the Mustangs third quarter scoring. The Mustang points in the third came from Thornton with six, Andrew Abernathy with three and Guess with one as Slocum found itself staring up at a 46-29 deficit after three periods of play. The fourth quarter saw the two teams match each other basket-for-basket. Thornton dropped in a pair of threes for six points while Abernathy and Smith both dropped in a shot from behind the arc. Three other Mustangs – Ives, Neal and Wilson Chase – all had two to round out the Slocum point production. Frauenberger and C. Wiley led the Grapeland fourth quarter scoring attack with six apiece. Ashford made four of six from the line and Joseph chipped in a two as the Sandies held on to win by a final score of 63-47. On the game, the Mustangs were led by Colby Thornton with a game-high 23 points. Andrew Abernathy and Lincoln Smith had six apiece, Randy Guess and Josh Ives both had four and Travis Neal added two. The Sandies were led in scoring by Javion Joseph with 22 points. Rick Frauenberger worked his way inside for 12 and Cadarian Wiley had 10. Deco Bryant added five, Josh Ackley had three and Tyrin Wiley added two for Grapeland.